As you are aware Williamstown Lacrosse Club plays a major part for lacrosse in Australia and more importantly within Victoria. As a club we are focussed on growing lacrosse and ensuring we lead from the front in all aspects whilst we continue our success on and off the field. We as a club want to GROW THE GAME and set the bar in terms of Lacrosse development. 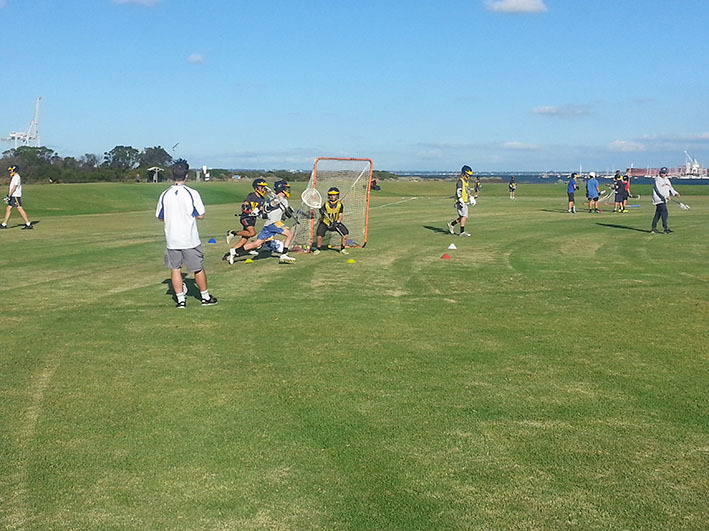 In order to do this we have created the 100 CLUB to assist our juniors and raise funds which will allow the club to attract juniors from local schools and provide the kids in our community with the opportunity to begin their sporting journey via Lacrosse and with the Williamstown Lacrosse Club. Training has commenced in 2017 on a Tuesday & Thursday evening between 5.00 and 6.00pm. Check Team App regularly for updates to times & venue. We expect to be back at The Fearon by the middle of May.